You might be surprised to learn there are times when Peter Browne, owner of THINKLimo, actually prefers a bicycle to a car. This biking enthusiast has logged over 3,200 miles during the last two years on two solo bicycle expeditions. He pedaled south to Baton Rouge, La. and rode all the way to Calgary, Canada, spending about 350 hours on the road. 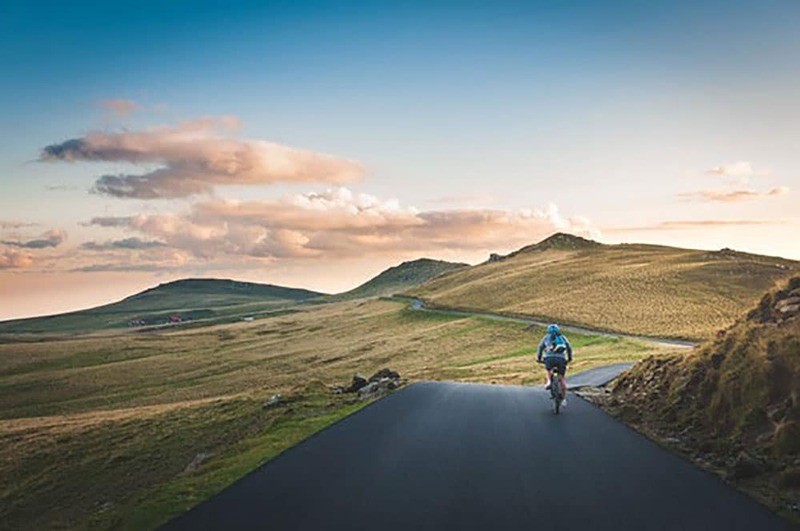 He’s battled wind, rain and heat on these month-long journeys – a much different experience than the luxurious rides that Peter’s company provides to corporate business travelers. His bike travels are filled with exciting uncertainty. What if he runs out of water? Where will he rest his head each night? Accommodations have ranged from hotels to a cattle ranch to a stranger’s basement. Peter’s reasons for taking off on a two-wheeler are mostly health-driven. However, a need to test his employees’ leadership skills and plan for the company’s future was also a motivating factor. In order to properly do that, Peter had to remove himself from the daily picture. On a face-to-face course with nature, Peter traveled on bike between 60 to 70 miles per day. It’s a slow mode of transportation but one that offers incredible views along roads less traveled. “I’ve seen many interesting things and met a lot of friendly, caring people along the way,” he says. 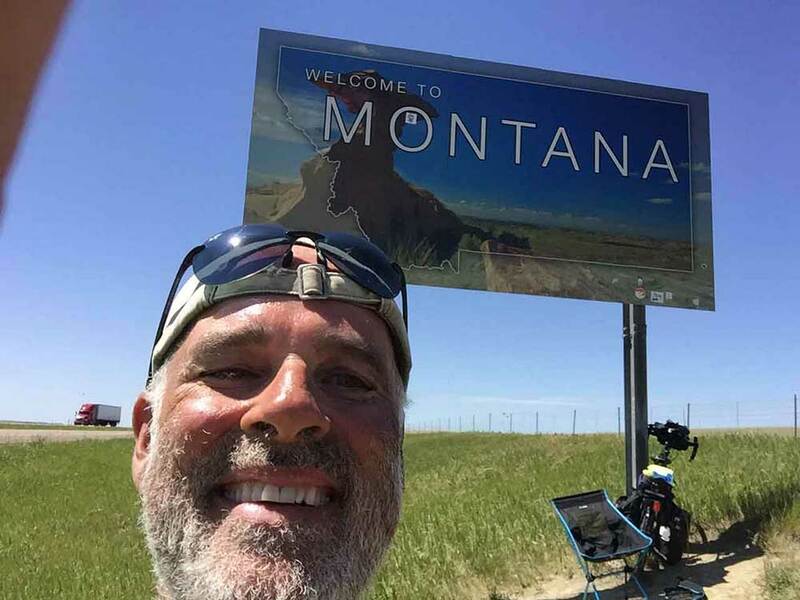 Peter’s biking adventures definitely take him off the beaten path, providing unique experiences – like watching Asian Carp jump on the boat of a fisherman and his family or bunking at a Bed and Breakfast owned by a famous musician. How can this busy entrepreneur leave town for so long? Fortunately, Peter has a highly competent and reliable team taking care of business on the home front while he’s away. These individuals do more than just manage everyday business affairs; they’re equipped to make high-level decisions. THINKLimo’s Peter Browne jubilating as he enters Montana.